A True Graphic Exchange « Stitch Design Co.
Fabien Barral of Graphic-Exchange, recently asked Stitch to do a real graphic exchange. Several weeks ago we packaged up some of our favorite samples and sent them to Euzet, France. 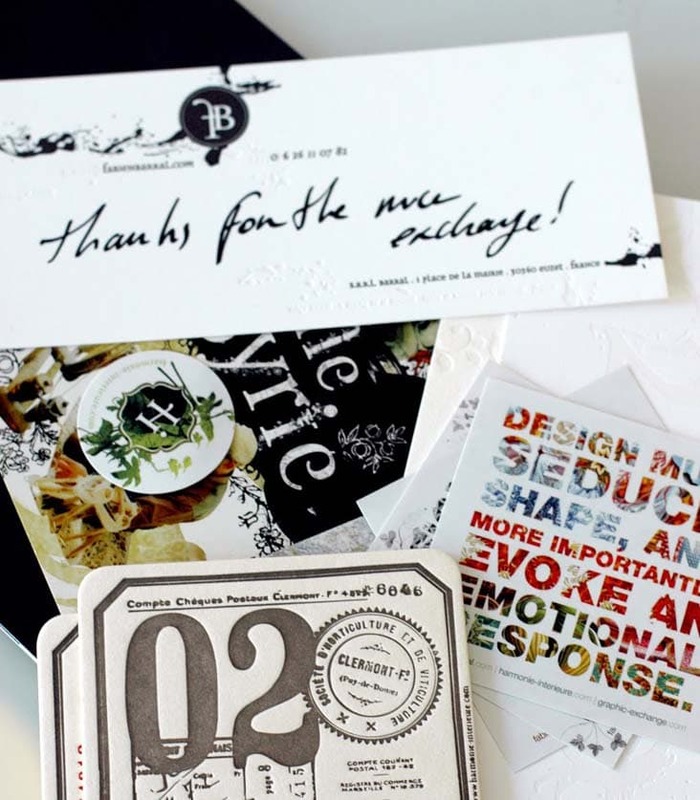 We received our exchange last week, a package of beautiful work from Fabien. It’s always so exciting to get a package in the mail especially when it’s from a fellow talented designer. Thanks Fabien! I love the example on the bottom!